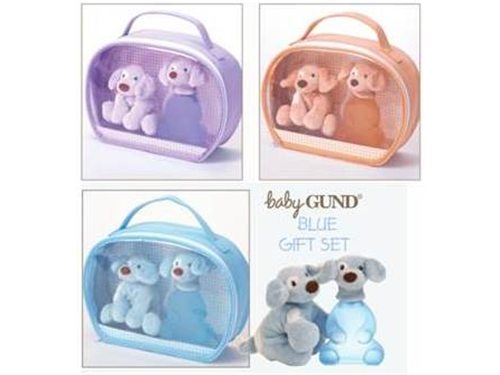 Baby Gund Gift Set – available in Lavender, Honey or Blue. Contents: 3.4oz./100mL Alcohol Free Cologne Spray with a finger puppet that sits on top of the bottle cap and full-size “barking” cuddly plush puppy. Packaged in a reusable carry-all bag. Can supply breakdown of colors/scents upon request.